Today, May 1st, brings back so many memories of my young school days. May was an exciting month in school in Ireland as there was much ritual and colour associated with it. In my young innocent days, all tradition in school revolved around the Catholic Religion, and for this month I do believe the nuns came into their own. May was devoted to Our Lady, Mary, mother of God and therefore, even though the nuns of my childhood days, those virgin brides of Jesus, bore no resemblance whatsoever to women, or were remotely feminine, somewhere deep down inside, buried under the layers of their heavy, dark, floor-length habits, hard rigid wimples and grim reaper like veils, beat the instinctual cellular memory of their gender. Beaten out of them by a patriarchal religion and powerful male catholic hierarchical system, women rarely got a look in other than to dress the altar, polish the brass candlesticks and provide free tea and lunches to their Parish Priest. 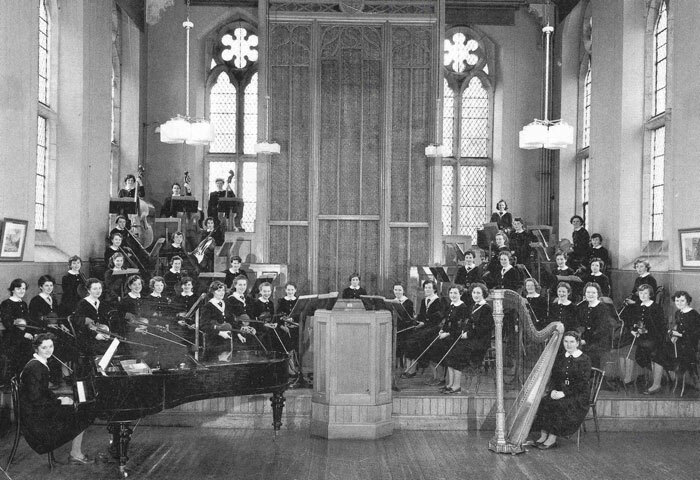 Women followed the rules and regulations laid down for them by the Priest who pontificated from the pulpit each Sunday. 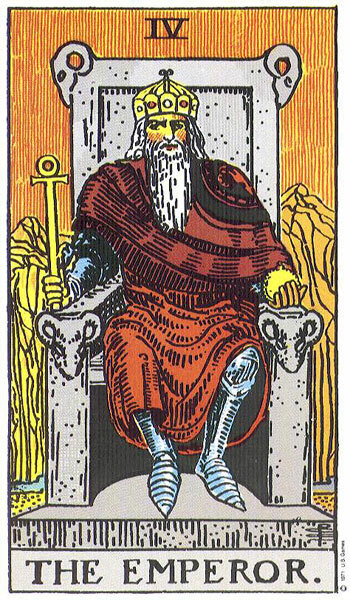 These Priests in turn following the laws carved in stone by the Vatican with its heartless and soulless Popes, more concerned with their own self-importance and egos than the genuine interests and needs of their flock, absolutely believed that they were the voices of a God who placed the male as King and the female as his servant or slave. 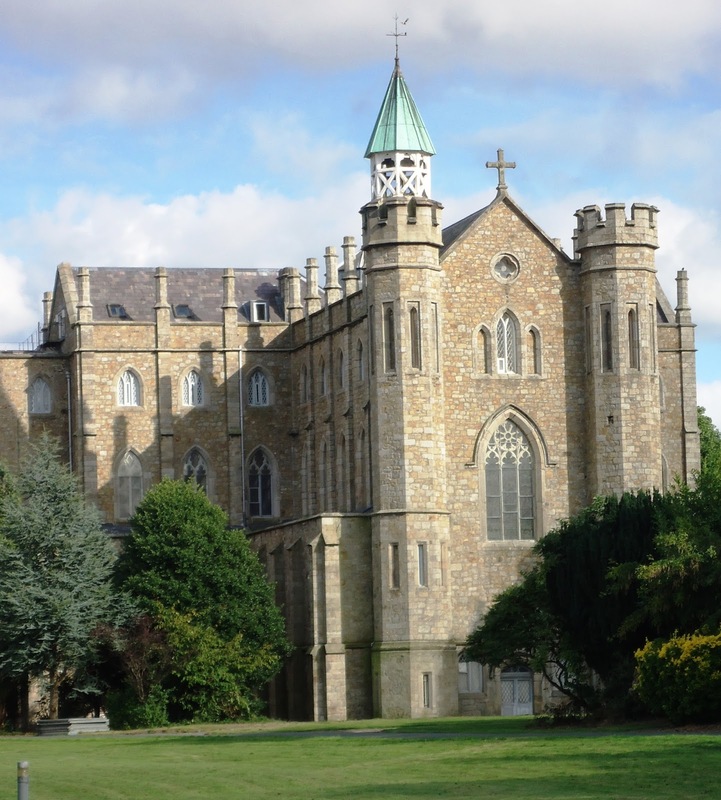 Nuns did the Priests’ and Bishops’ bidding and were expected to fuss, stress and panic whenever one visited the school or their adjoining Abbey. 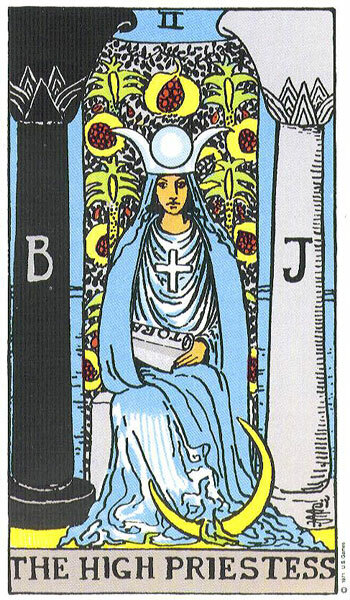 The nun’s usual terse, cantankerous and bitter stance towards us, and life in general, soared to new heights of rigidity and aggression when either of the above were due to pay a call. As children we were conditioned and programmed in the preceding days to be on our best behaviour (as if we ever had the nerve or courage to be anything else). The fear of God was put into us with threats of beatings and even worse should we show them up in front of some pompous white-collared or pointy-hatted representation of the Lord himself. But with the approach of May, the nuns became girlish like, even skittish at times and were sometimes seen to break their thin and tight, frigid lips into the weakest of smiles. Such un-nunly like behaviour was immediately taken advantage of by us young girls. We would relax and even dare to walk on the wrong side of the corridor, or worse still, run past a nun who would not notice this blatant breach and defiance of school rules. So intent were they on arranging the May Day Procession and May Altar in the main lobby area that they barely took notice of us. This was the one time of the year they had a legitimate chance to vaguely express their womanly selves; to think of colour, style, what sort of flower arrangement would look best, which vase would suit? 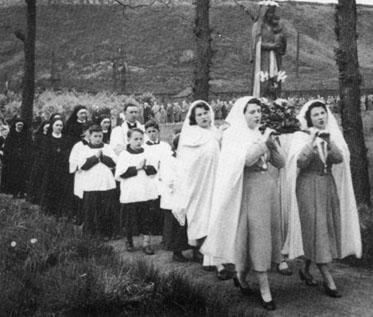 Unable to do likewise for their own dress, hairstyle and colour, shoe height or hem-length, they threw the little that was left of their femininity into preparing for the glorious occasion of Bealtaine, The Feast of our Lady. They may not have been able to doll themselves up, but they would do their utmost best to dress and decorate the statues of their famous First Lady so that she shone radiantly and bright for this, her special month of May. 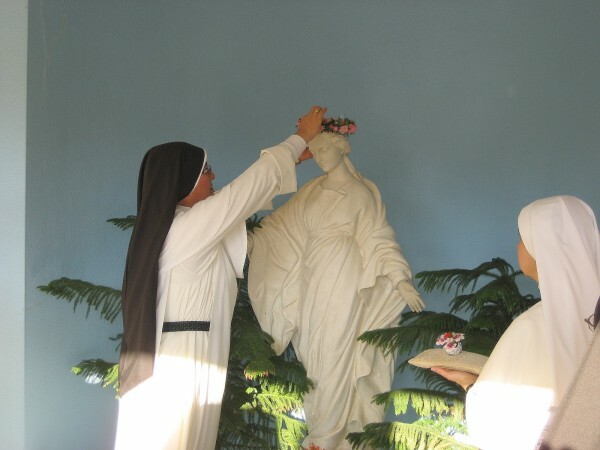 As convent school-girls, May also meant that each class would have to erect, prepare and decorate our own May Altars and this gave us great delight. Simple as these tables or Altars were, they were very special to us. Much discussion took place between student and teacher as to what would look best and most suitably represent Our Lady, Mary. The Altar or table had to be kept going all month so it would be all hands on deck and we would take turns bringing in fresh flowers when the previous display began to wilt. I vividly remember on one occasion bringing in a bunch of Cowslips picked from the meadow behind my house. There would be effigies of Mary, little pictures with prayers written below them and jam-jars filled with plucked leaves where we kept our pet Lady-birds for the month. 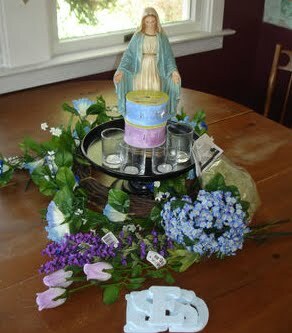 Our May Altars were a welcome distraction during lesson time when one had to endure their most boring subject. Zoning out, my eyes would drift to the colourful table in the corner and in someway it connected me to the outdoors and nature. 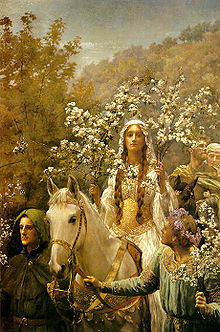 A very important aspect of May Day, Bealtaine, was the May Day Procession. 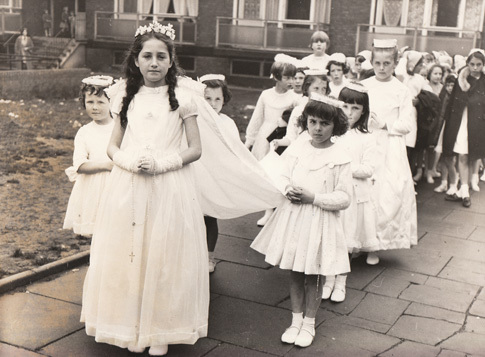 This involved all the school congregating in the school yard before walking in procession to the local church where there would be a special mass in honour of Our Lady. On this day we were all obliged to wear veils, and for those who had made their communion, this meant a very special outing for their veil that was normally kept in tissue paper in a special box which only your mother would have access to. For me, I was in school at the same time as my three sisters and we had all worn the same veil for our communions. This meant that three of us would be without a veil which was grimly viewed by the nuns who placed great importance on such issues. Of course, Mantillas were perfectly acceptable as well and deemed the height of fashion by many of us. However only a few had access to these exotic lacy headdresses. The nuns generally glazed over when it was meekly and timidly mentioned to them that we just didn’t have enough veil to go around the four of us at home, we weren’t the only families with this dilemma, and would utter through gritted teeth that we had better sort it before the big day. This was the only worry we had every year, except of course for the question of how long would we be able to kneel in prayer, the sharp pebbles before the Abbey steps biting into our young little knees, before keeling over and drawing unnecessary attention from the nuns upon oneself? Some more helpful teachers would tell us that if we didn’t have a veil or mantilla, some net curtain would do the trick instead. Back in Ireland in the Sixties and Seventies, every household had net curtains, with the exception of our house of course. My mother hated them and much preferred the natural light to pour in through the window. She didn’t mind if the neighbours could see in or not. She was a bit untraditional when it came to such things, so we were often left in a bit of a state coming up to the 1st of May. Where were we to get a veil or net curtain from? We knew that such dreadful violation of religious custom would bring the wrath of the nuns down upon our young shoulders, and on all Feast Days of the year, The Feast of Our Lady was one they didn’t want marred by any of us heathen-like children. We would scour the neighbourhood for any spare veils or net curtain, but back in those days, families generally kept their problems to themselves and only certain people could be asked or approached for a loan of anything. Of course we had crocheted Berets. I even had a white one, white being obligatory for The May Day Procession, but hats were out and veils in unfortunately. This all meant that we would have to turn up at school on the morning of 1st of May with just one of us four girls wearing a veil. Now what I haven’t mentioned up to now is the fate that befell those unfortunates who arrived veil-less for one reason or another. 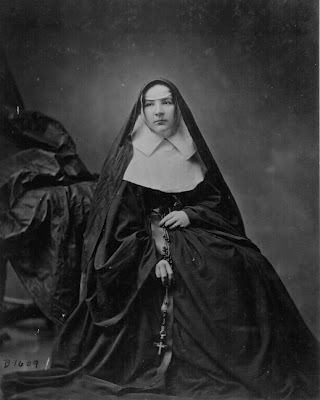 The Principal Sister or Mother Superior of the school would patrol the classrooms first thing in the morning and demand of each student evidence of a veil. Some of the teachers would have done this in advance and any veil-less heads would be put to stand at the top of the class until Mother Superior arrived. After giving us her strongest withering look we would be marched out the door and down to stand outside her office. When all serious offenders, and the odd rebel, those who didn’t give a damn about the veil or were too poor to care, were rounded up, we would take our turn to go into her office and receive our punishment of a few lashes of the cane across the hand. We were then presented with a bit of old yellowed net curtain and promptly shoved out the door again. Returning to our class, head hung in humiliation with our old bit of tattered and musty yellowed net, it was the height of shame. We would be made to feel less than human by both teachers and many of the brightly veiled students. Most of these smug students had relatives in the ‘States’ and they always had the fanciest of everything. They were the envy of all with their heavily jewelled and embroidered veils. I felt pure murderous at times. They always had ballgown-like party dresses too, but looking back now, in the gaudiest of colours and what would now be referred to as ‘over the top’ or ‘chocolate-box like’. 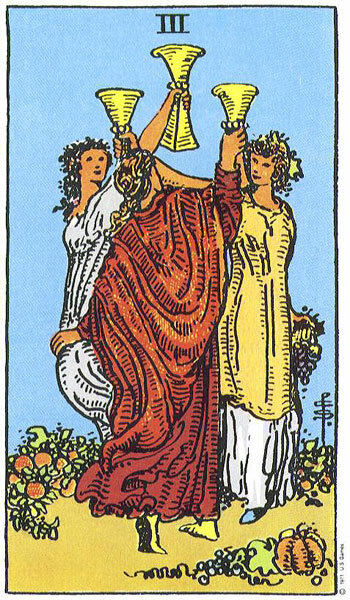 Of course all the dreadful business of the veils would pale into the background once the bell rang to inform us that the celebrations were due to begin. Teachers would march us excitedly out to the school yard where we would gather for prayers before beginning the procession to the church. Now maybe it is nostalgia kicking in, but the weather was always amazing. The sun beat down on us from a cloudless sky and the barest of breezes would be felt. I am not sure what caused it, the building excitement of the day ahead, the worry of getting in trouble for something or other, or whether it was being forced to stand for an hour praying in the heat, but it happened every year. Bang, thump, thud, bang would be heard as bodies hit the ground. Swooning and fainting seemed to be every bit as part of the May Day tradition as the procession and May Altar were. Teachers or Nuns would drag the collapsed lifeless bodies to the side and into the shade where they would be shaken to life once more and water forced down their throat. They would be given a few minutes to compose themselves before being expected to rejoin the praying mob. I never fainted but you could tell who was going to in advance as their faces paled and you could see them begin to sway in front of you. Some vomited and had to be taken inside where they would lie across benches until the nausea subsided. This was all part of the drama of the day and much excitement was attached to it. Then the Mother Superior would give the signal to one of the nuns behind and we would all turn, get into marching formation, and begin our veiled procession down the school lane, across the road, through the grounds of another school and onto the church. 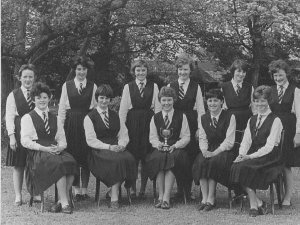 This other school was a Private School and they had uniforms, which to me was the height of glamour and I so wanted one. 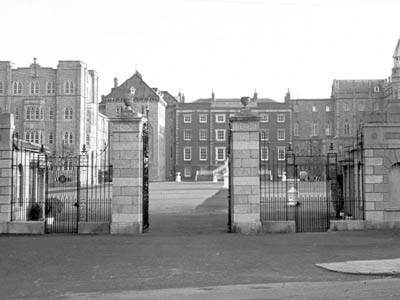 National Schools in Ireland at that stage remained uniform-less and students wore their own clothes, hence the envy of those with relatives in the ‘States’. For the rest of us, it meant hand-me-downs; clothes passed from sister to sister as the older one outgrew them. Nothing was styled or colour coordinated as clothes were just meant to cover the body and keep us warm and respectable. I look back now on some of the things I wore to school and my toes positively curl with distaste, but those were the days and the times we lived in in the sixties in Ireland. Anyway, this Private School was also attached to the Abbey that my school was, but the girls were a different breed from us. They were the daughters of doctors and business people who could afford to send them to schools where they were guaranteed to be turned out as proper young ladies by the good nuns. I remember they played sports that were unusual to us National School children at the time. Whereas we did play basketball and athletics, the Private School Girls played Hockey and Tennis. Imagine that, how fancy and posh? They also had super-duper cookery classes where they learned how to create incredible decorations out of sugar icing. The Private School would join us on our Procession but we did not mingle and they were kept ahead of us at all times. They also had their designated place in the Church. However, we could observe them quite closely and marvel at their long manes of perfectly groomed hair, snow-white socks and gleaming brown shoes. Their brown blazers complementing sallow skin, skin that had experienced foreign holidays and enjoyed the perfect smoothness that is always associated with wealth. They wore brilliant white shirts beneath their blazers and knee-length matching brown skirts. Oh how I would have killed to own one of those blazers. I had an aunt at the time who was still young enough to be in secondary school. 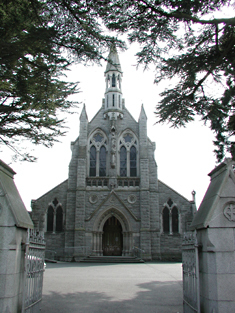 She went to Notre Dame in Churchtown, Dublin and had the most amazing royal blue uniform and a strange but exotic looking school cap with a tassel as well as a beret for other occasions. They also had a different uniform for the summer months and I remember a pretty pale royal blue and white gingham-style short-sleeve shirt. My only hope of obtaining a uniform back in those days was if I joined the Girl Guides or Bridgeens. They had a marvelous brown uniform and beret, and the longer you were there, the more badges and stripes decorated both uniform and beret. However, for all my begging and pleading I never was allowed join them. The fee for the uniform being £5 at the time was too much for my parents who had to make their tight budget go around six of us. I was gutted, destroyed and so upset as I watched friends of mine prance proudly down the road as they headed off to their weekly meeting dressed in their glorious uniforms. Back to the church and our May Day Mass. Funny, I don’t remember a lot about the church bit other than people watching and trying to fight back attacks of the giggles that always seemed to strike just as one of the nuns would start her patrol along the aisles, watching and waiting for any bad, sinful behaviour from her charges. Woe behold if you were caught talking our ‘skitting’ in the church for there and then you would be hauled from your seat and dragged out the door. Punishment would be dealt out when you got back to the school, but for the rest of the procession back there you would have to walk with one of the nuns and were not allowed to join your classmates. Horror of all horrors! 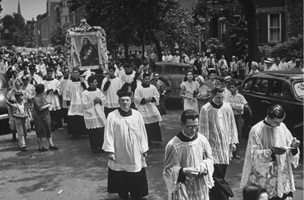 The whole thing about these processions to the Church and back was the sense of freedom they created within because for that period of time, the jail doors were opened and you were allowed out into the free world where you saw women pushing prams to shops, cars and buses going by on the road and people just going about their business. Occasionally some cheeky male van drivers would toot their horn or whistle out the window at us and we would all descend into embarrassed girly giggles. The nuns would be livid and on the look out for any of us who looked back at the van or waved in response. There was always one or two who couldn’t’ help themselves and they too would be dragged to the back of the crowd to walk alongside the nun and contemplate at leisure the punishment that awaited them back behind the closed door of Mother Superior’s Office. Once we returned to the school we would veer left at the top of the school lane just before the actual gates of the school, and into the amazing grounds of the Abbey that resembled Hogwarts. 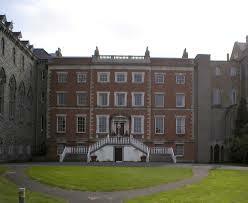 Here we would be marched up to the foot of the sweeping granite steps of the Abbey. The Abbey was set in marvelous and magical grounds. There was even a lake with swans and manys a wonderful nature walk we enjoyed during our years in that school. 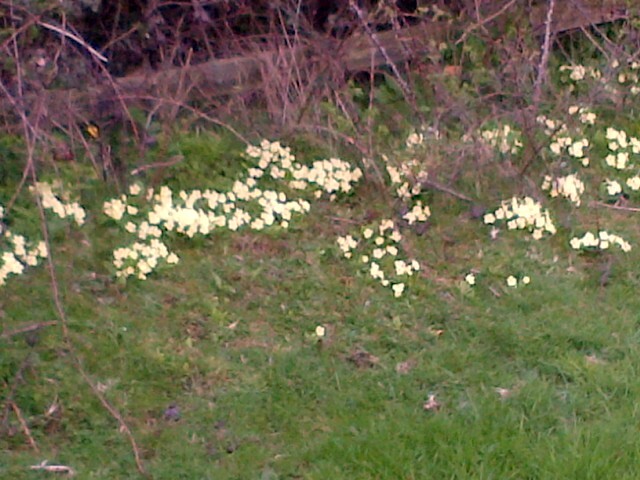 We were blessed to have such natural beauty on our doorstep and at our disposal. 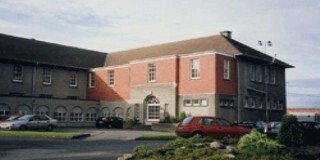 In front of the steps was a wide open space that led down to an avenue. The ground was covered in small pebbles and it was here we were expected to kneel en-masse for maybe an hour or more, listening to more prayers and sing hymns. We were bare-kneed and the stones sharp and painful. I remember we would try to spread the stone beneath our knees to expose the earth below in an attempt to save our childish skin but no matter what we did there was no getting away from the pain of fragments of stone sticking up from the earth. 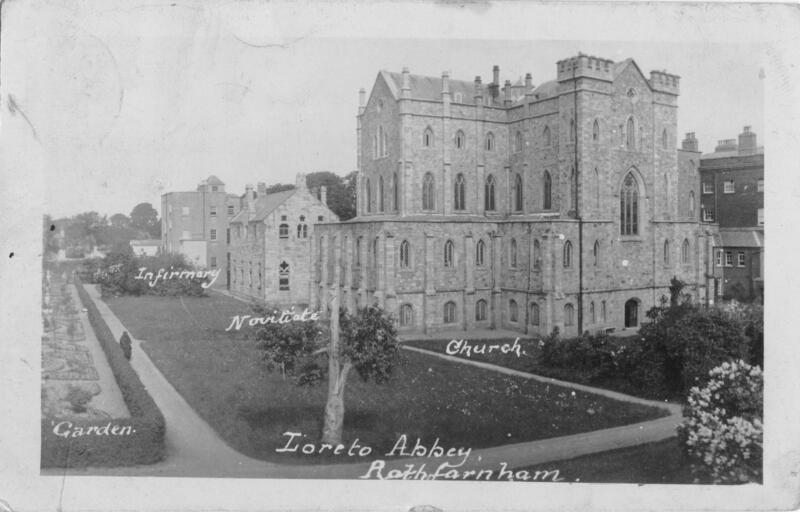 The Abbey was home to not only the nuns and novitiates, but there was also a Boarding School attached to it. The boarders were looked upon by us lowly National School Pupils as even more salubrious than the Private School Girls across the road. The boarders were daughters of wealthy farmers and some had parents living abroad but were sent to be educated by the nuns in Ireland. They were in a league far removed from any of us and we would stare at them with our mouths hanging open. They had polished accents and an air of confidence and self-assurance about them that we seemed to lack. I suppose knowing that Mummy and Daddy had pots full of money did a lot for your self-esteem. I too entertained grand notions of being a boarder and thought it must be wonderfully fun and exciting, even if you still had to contend with the dreaded nuns. I was heavily into Enid Blyton’s Four Mary’s at that stage and to me Boarding School meant midnight feasts, lacrosse and fantastic adventures. I definitely felt like a deprived child. When we were eventually relieved and allowed to stand, legs and knees would be stiff and walking quite painful. It was a short stroll back to the school and into the classroom to gather our school bags and coats from the cloakroom. We would have to sit for a while though as we picked bits of stone out of the pitted hollows that had formed in our knees. Then it was just a matter of waiting for the bell to ring before we were allowed to head home. All yellowed veils had to be dutifully returned to the office where they would be put back into the box to be used for next year’s May Day Procession when once more, disobedient and disrespectful girls would turn up veil-less as they had every other year. Free of the school, we would skip down the lane-way once more, and down to the bus-stop to wait for our 16a bus to arrive. I remember the fare was tuppence and if the weather was fine we would walk home instead, saving our money for the Haven Sweet shop instead that was housed near the bottom of Beaumount Avenue in Churchtown, Dublin. We would buy aniseed balls, acid drops or bulls eye sweets which the kind lady in the shop would pour into a cone of paper rolled right in front of our eyes. I think we kept our walk homes and bus fare spending a secret from our parents. They would have deemed it a saving and therefore expect us to use it to pay our fare the next day. They certainly would not have appreciated us wasting the money on sweets. Therefore we must have had to eat them all before we got home or conceal them in our school bag. I am not really sure about that one. in love and in prayer. At home we also had a May Table and I remember once being told off by my mother for bringing some Hawthorn Blossom into the house and placing it in a vase on Our Lady’s Altar. Hawthorn, also known as The May Bush had Pagan associations. It was said to be unlucky to have it in your house. Of course that was all superstitious nonsense. 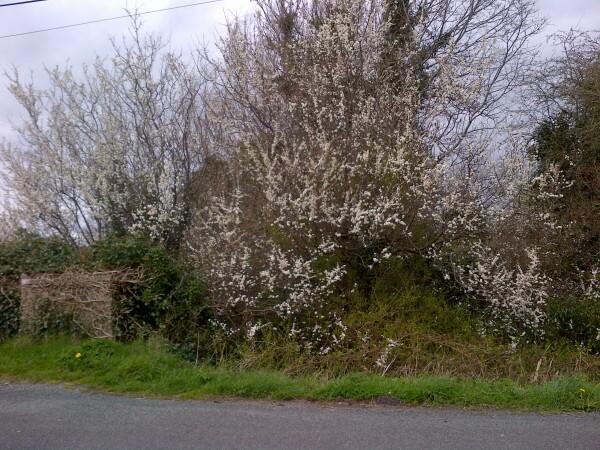 The May Bush was not unlucky but Pagan tradition had it symbolically linked to the pubic hair of The Virgin Goddess who on Bealtaine, May Day consummates her relationship with The God, The Oak King and conceives of the Sun Child who will be born at Winter Solstice. Hawthorn is also a thorn-bush and in Ireland thorn bushes were deemed to be connected or belong to the Sídhe. It was considered unlucky to damage or deliberately cut one for there was bound to be a price to pay to the Sídhe if this happened. Bringing a branch of a thorn tree into the house would only entice them into the house where they were known to wreak all sorts of havoc. 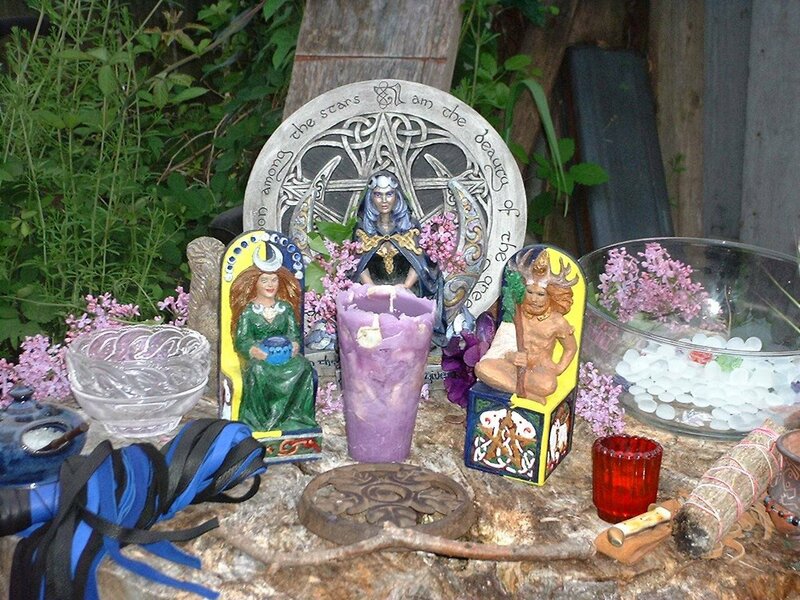 May Day, Bealtaine has strong Pagan and Celtic associations with many traditions continuing around the world in celebration of the Goddess and God, the feminine and masculine principle of creation, as they are joined in sacred union and consummate their relationship. 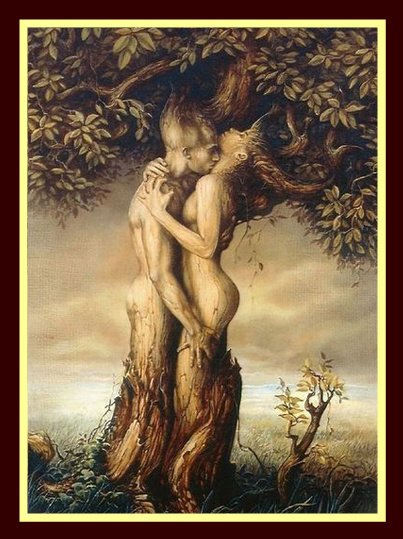 This Divine Union symbolically fertilises the earth, animals and crops once more and reclaims the land from the from the Fae. 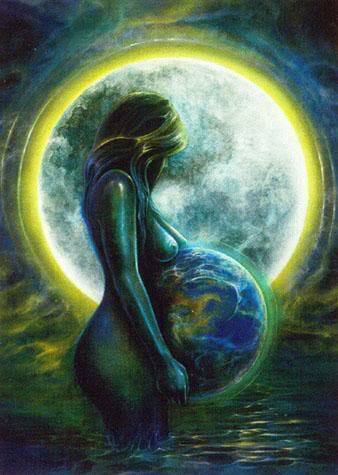 For the Triple Goddess this is the time when she moves from her Virgin, Maiden Aspect to Mother as she conceives. Bealtaine is a Fire Festival and strongly associated with passion and sexuality. It marked the beginning of summer when livestock were brought back to their summer pastures. 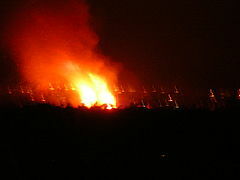 Bonfires were lit and people would jump them for good luck and fertility. Girls would jump the bonfire to secure good husbands, pregnant women stepped across to ensure an easy and safe delivery while children were carried across the smoldering ash to guarantee their survival and protection. 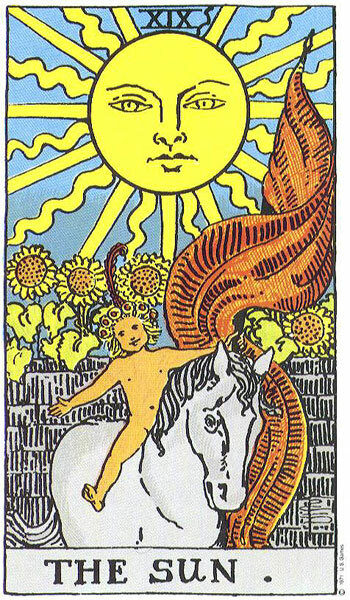 The Fire symbolised the drawing down of the sun to earth. They would also drive their cattle and livestock through pathways in the fire or make them jump them if they were not too big. The ancient tradition in Ireland had the main Balefire lit on the eve of May, April 30th on the Hill of Uisneach in County Westmeath. The people’s of all the towns and villages extinguished their own fires. Cinders from the Main Balefire would be taken and passed from town to town so that people could relight their fires thus ensuring good luck for the coming year. Everything was done with a view to asking for the God and Goddess’ blessing for the year ahead. The Fires or Balefires associated with Bealtaine symbolically ignited the passions in the people and it was a festival for merry-making and love-making. Young couples would disappear into the woods and forest where they would spend the night enjoying the pleasures of the flesh and collect flowers to bring back home for themselves, and as gifts to drop at houses on their way home. Festivals were traditionally led by the selected May Queen and her Consort , The King, sometimes referred to as the Green Man. This especially symbolic couple were carried throughout the Village or town in a cart that had been carefully decorated with flowers. 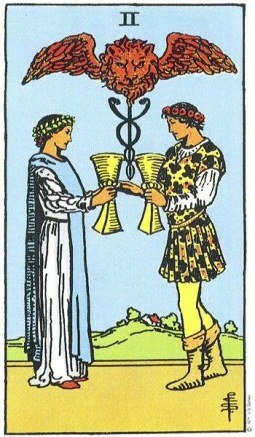 They symbolised the Great God and Goddess, the union of The Sun and The Earth. It was traditional to rise at dawn on the Morn of Bealtaine to collect flowers and bathe in the May dew which held great magical powers to ensure eternal youth. In places Bealtaine Dew was considered to be holy water and indeed holy wells received their fair share of visitors on the Morn but especially the eve before. However, one had to go before sun up with their request. It was custom to walk around the Well three times and to offer the Well a gift of sorts. 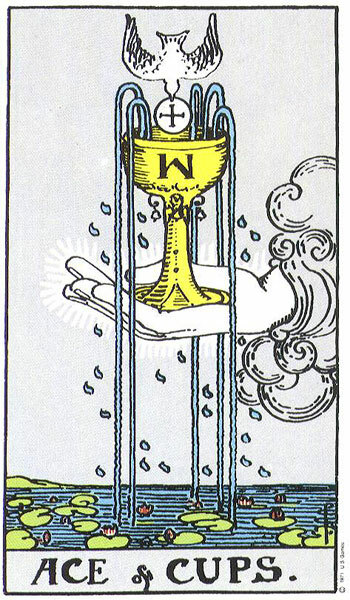 Water would be drawn from the well by cupping the hands together and the request or wish would be concentrated on while drinking the water. Holy or Magical Wells always had a tree nearby where it was custom to tie a bit of coloured cloth to the tree which held the energy of the wish or request. This tradition was normally carried out in silence and the person would have to be long gone from the well before sun up if they wanted their wish or request to be granted. 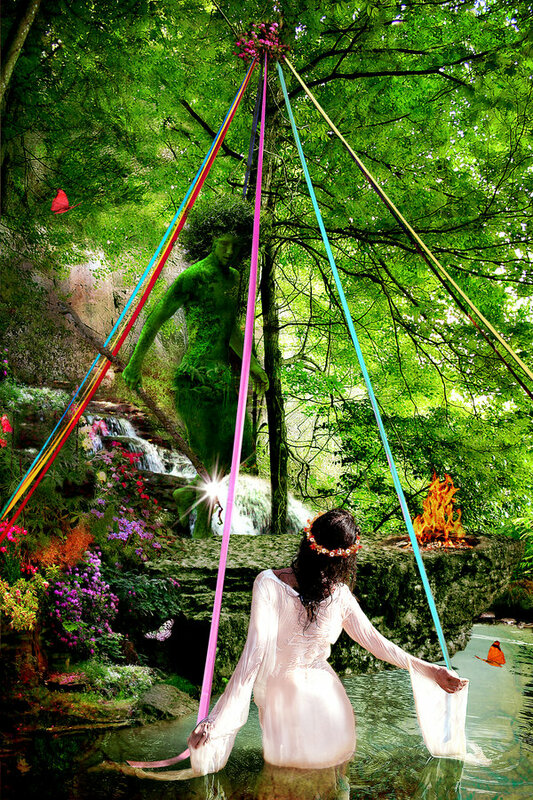 Where would Bealtaine and May Day Festivals be without the Maypole which was usually made out of Yule. The dancing around the Maypole is a Celtic Custom and whereas it is often depicted with a variety of colourful ribbons, the original colours were red and white to represent the God and Goddess. The Dancing around the pole and the interweaving of the ribbons symbolically represents the Great Union and Consummation of their Relationship. 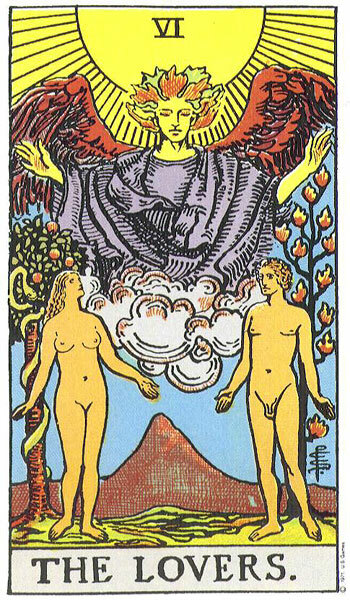 Taken a step further into Pagan beliefs, the colours of red and white also represented the breaking of the hymen in the Virgin Goddess as she joins with The Virile God in co-creation. 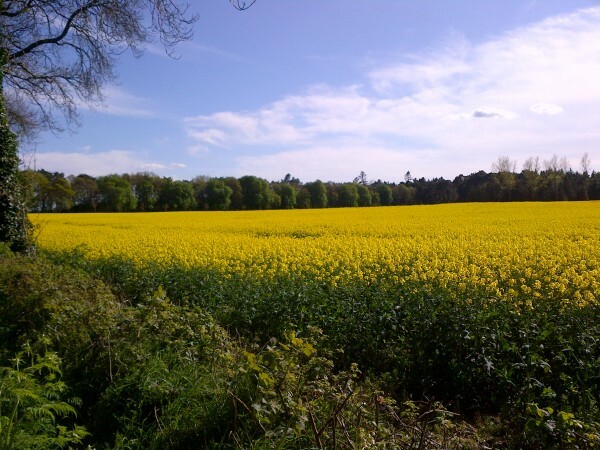 Bealtaine is one of a few days or spirit nights in the Pagan year where it is believed that the veils between the varying dimensions or realms of existence are quite thin enabling strong Supernatural Connections. 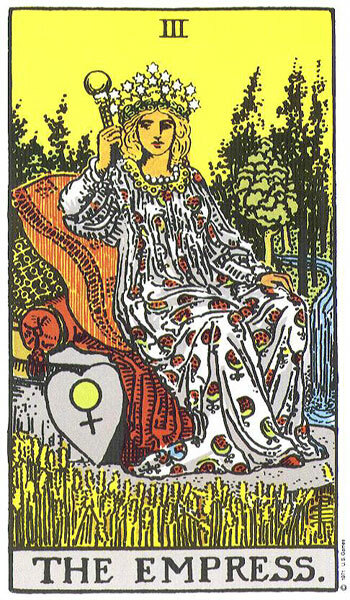 The Eve of May Day is especially favourable for communicating with faeries and divination. 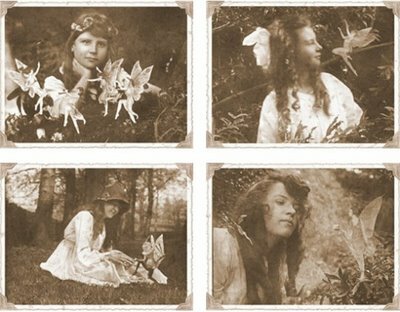 In fact, the faeries are known to be extremely active at this time, and particularly mischievous. 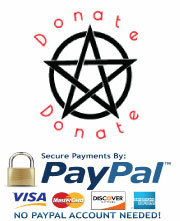 They trick humans who if not careful will fall under their spell and mislead or misguide them on their journey home. It is very easy to stray into a faerie ring or fort at this time of the year as the layers dividing them from each others thin. When this happens confusion sets in and one loses their bearings and internal compass. It is impossible to find a way out or home regardless of how close you may be to it. It is believed that one has to turn one’s jacket inside out before a pathway out can be revealed. Thank you so much. You are very good to have gone to the trouble to locate the videos. 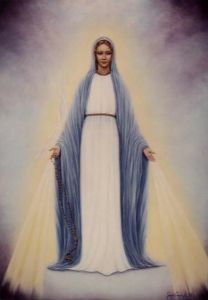 I was missing one line of May is the Month of Mary and now I have it thanks to you.I am at present uploading the videos to my Page on Bealtaine. Mind you, I seem to be having problems with the second link or else it is wordpress acting up. Will get there though. A really lovely article, a fascinating glimpse into two different worlds! Oh thank you Julie. I do hope to complete the remaining festivals on the Wheel of The Year. 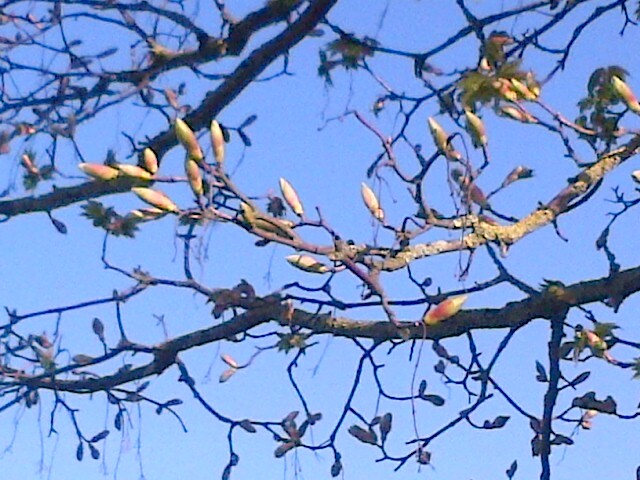 Bealtaine always reminds me of childhood and school days with the constant presence of the nuns and religious ritual. They forced religion down our throats through fear and punishment. 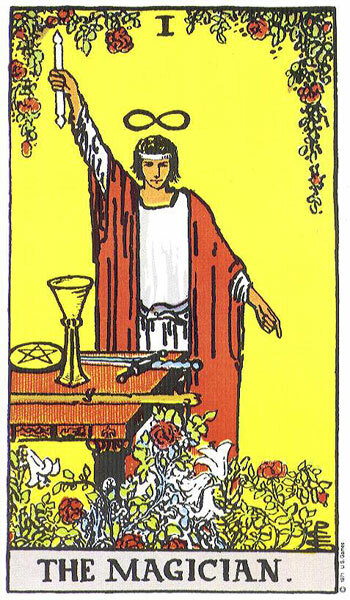 When I was older, I discovered the ancient connections to the various religious celebrations throughout the year and they made so much more sense to me. 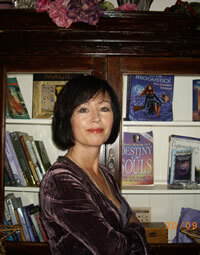 I do think though that the nuns really connected with Bealtaine in a way that made them sense their girl power. God knows they had precious little else to get excited about in life.